Like its namesake, this rocket is simply fast! 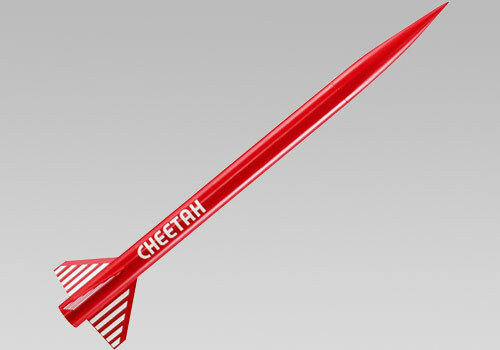 The Cheetah is also AeroTech's altitude champ, soaring to over 3000 feet on G power. The Cheetah features a patented no-wadding ejection system and a nylon parachute to bring this cat back home flight after flight.